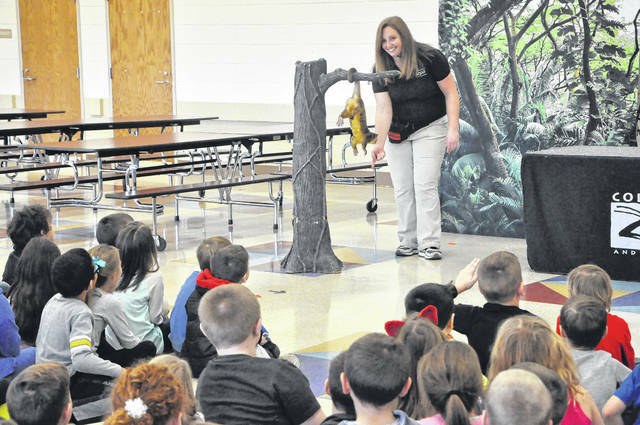 First graders at Schultz Elementary School marvel as a handler from the Columbus Zoo and Aquarium demonstrates the kinkajou’s prehensile tail and its ability to hang to grab food. Kinkajous, which are related to raccoons, live in the rainforests of Central and South America and spend most of their time in trees. Students were also visited by a penguin and a legless lizard and learned about their habitats and environments.